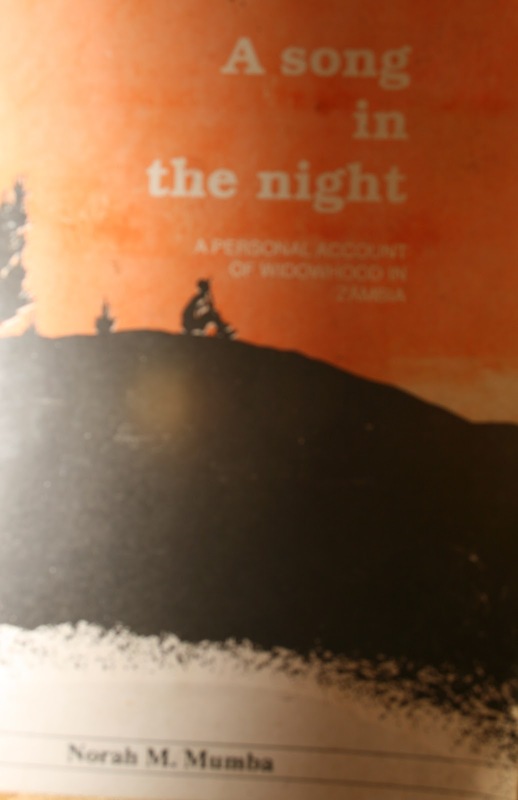 A Song in the Night is an autobiographical account of Norah Mumba’s struggle to cope with the death of her husband. At the time she wrote this, in 1987, she was a recently widowed mother of three young children. She describes the anguish both she and her husband, Stanley, go through during his battle with leukaemia, as well as the effect this has on their children and their relationship. Mumba lovingly describes her family life before and after the onset of her husband’s illness. Both are devout in their faith, and they draw strength from this and each other. The children are not clueless bystanders in this narrative; Mumba shows how she juggles her duties as a caregiver to her ailing husband and as a mother with young children who are scared, and confused. This obviously isn’t easy. In her writing Mumba draws attention to some of the more insidious practices terminally ill patients and their loved ones are subjected to, such as visits from family and friends that serve only as a means of gawking and not to provide comfort, and unsolicited medical advice which is often just the perpetuation of superstitions. She also rails against the culture that allows a deceased person’s extended family to take possession of personal property with little regard for the surviving spouse and children – the despicable act of property grabbing. I’ll be honest; this book will make the reader uncomfortable in certain areas. I say this because it is a highly charged personal account written with a lot of emotion but ultimately it is laden with the truth! And as we know, the truth can often be ugly and it’s easier to pretend not to see it. In my opinion this tale is timeless because much of what Mumba experienced is still relevant today. Mumba makes herself vulnerable by writing this story; the genius though, is how she doesn’t try to evoke sympathy or paint herself as the powerless, downtrodden victim. The strength of her faith comes through, as she draws on passages of scripture to make sense of her thoughts and feelings. Yes, she and her children suffer a devastating loss, but they learn to move beyond it - they find healing. In summary this is a story about love and life, death and sorrow, and human triumph over adversity. I thoroughly enjoyed this book, and would recommend it, especially for those who have recently suffered loss. Options recently been that has a one insurance News carrier for a time, the idea of switching landlord insurance policies may turn rising beautiful. Probably you've got gotten to an argument inside your small business wherever you would imagine a person should have a break because there is a couple of properties. Or even you will be fed up with your current initial landlord insurance carrier not necessarily providing you with a price bust, in spite of your current historical great customer position and history regarding always spending your current insurance plan on time. ne of the unavoidable realities of growing up (along with wrinkles, children, and a low metabolism) is that you end up thinking about things like insurance and how much it is affected by what is going on in the country you live in, South Africa. There are several dynamics at play in South Africa that are causing many people to reconsider their approach to insurance in general and to specific aspects as well. Would like to to buy a copy. Where can I get it?